This week SKIOJR USA has made significant progress! Our Facebook page has nearly 200 likes and followers. These are "organic", which is how we want for it to be, because we want to truly gauge our following and have our site accurately reflect our community. we announced our first race for 2019! "SnoFlinga - Montana's Winter Festival"
We have formed an Advisory Committee made up of members of our community that have over 100 years of skijoring experience between them! This group is made up of riders and skiers from both the north and south, so while diverse, they also complement each other well. Each member not only has experience at a multitude of race venues over a significant period of time, but also has personal and professional traits developed in their lives away from skijoring that make them excellent listeners and advisors. We encourage you to familiarize yourselves with their names and to reach out to us with any observations or concerns. We will be bringing issues to their attention and once they have had a chance to discuss them, they will be addressed in an open and public forum. YOU are the voice of skijoring now. Profiles will be posted on the SKIJOR USA website shortly. We are also making significant progress with races. Two Organizer Summit Meetings have been set for next week at which we will be discussing a race calendar, regional demarcations, sponsorships, an insurance program, race formats, competitor divisions and much more! to join the SKIJOR USA Alliance and, while they may not qualify to be point races, benefits of joining the Alliance still include marketing support, access to equipment, sponsorship funding and various levels of insurance. We DO NOT underestimate the importance of these races because they serve to introduce the sport to new competitors and they focus on FUN, FUN, FUN! THIS IS AN ASPECT OF SKIJORING THAT CANNOT BE LOST! We hope that everyone has enjoyed some "down time" these past few weeks and if you were on calving duty, we hope it went well. Personally, I am getting geared up for "golf season" and watching the Masters Tournament from a comfortable perch in New York City. I mention this for an important reason. 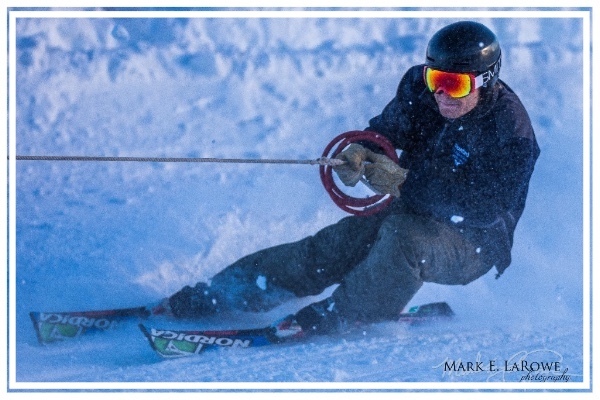 sportsmanlike conduct needs to be without question in skijoring. In golf, "the rulebook is sacrosanct -- even if some of the rules seem peculiar and violating them would not offer an advantage. And what makes this all the more important to golfers is that they typically are left to police themselves". "The game remains as close to honorable as we have in a world where honor and honesty have become subjects of political spin and not personal value." "There are major championship winners in golf about whom it has been whispered that they stretched the rules. But none achieved greatness purely because of breaking the game's laws." Remember, at the end of a round, the player must sign his own scorecard. Scout's Honor. His playing partner must also sign that golfer's scorecard. Double Scout's Honor.